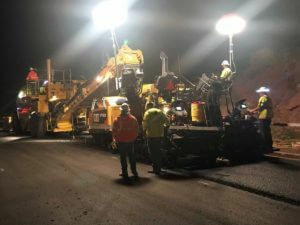 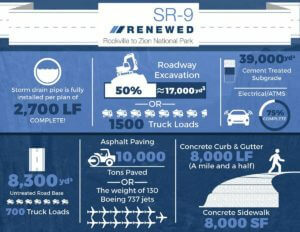 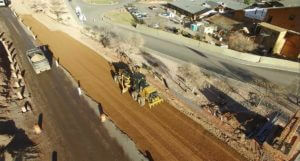 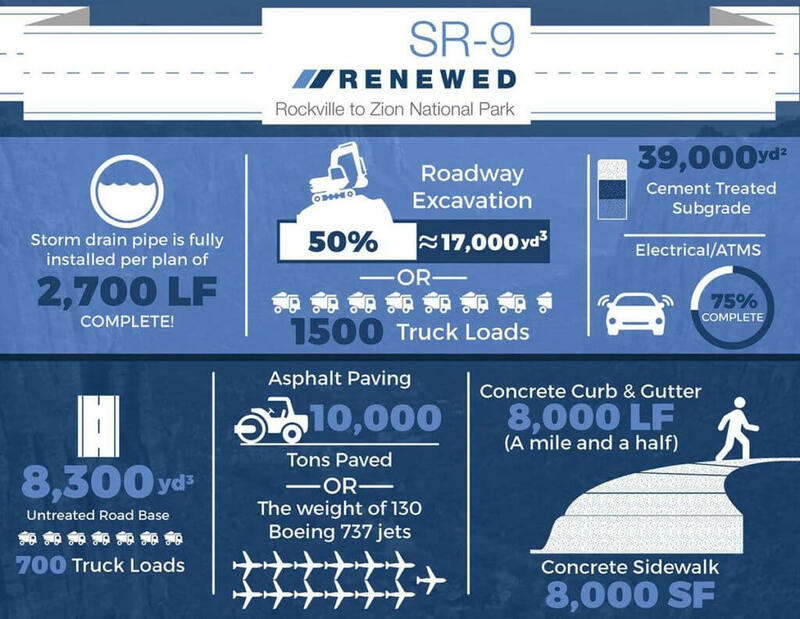 The road reconstruction of SR-9 was a major roadway renovation project that is, as of 2018, the largest contracted amount awarded to Sunroc’s Southern Utah region. 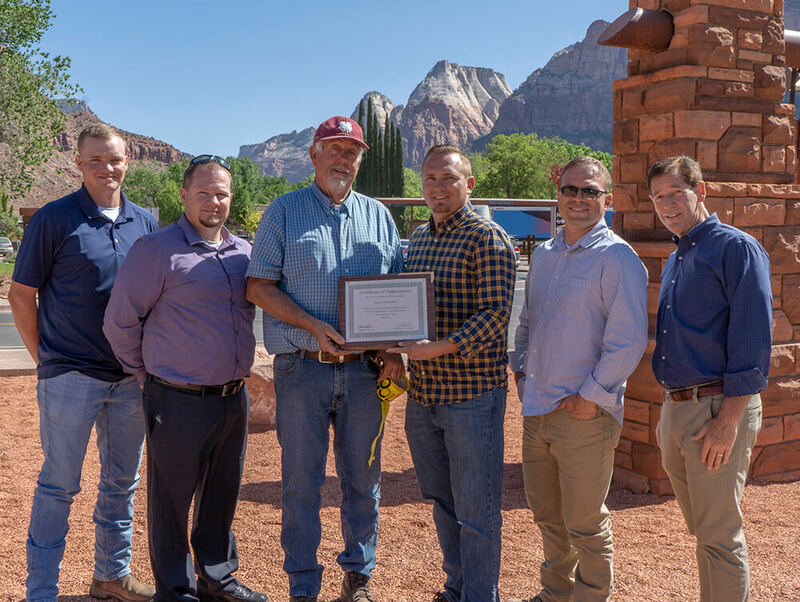 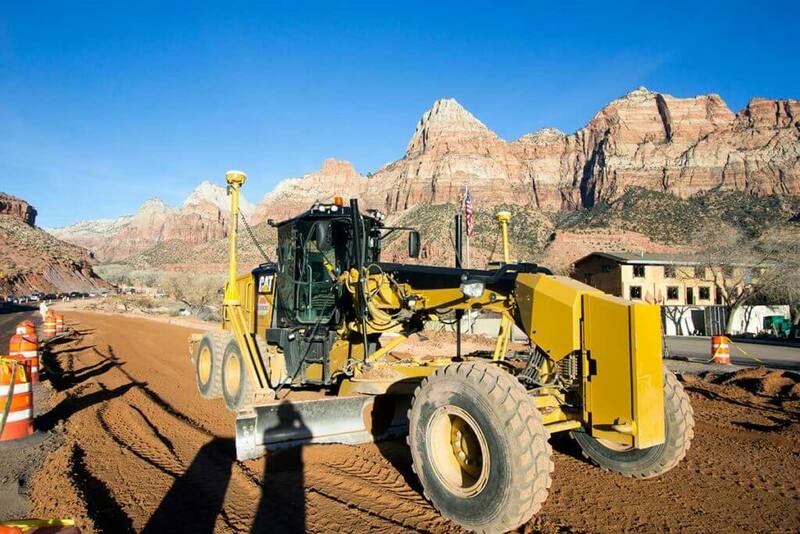 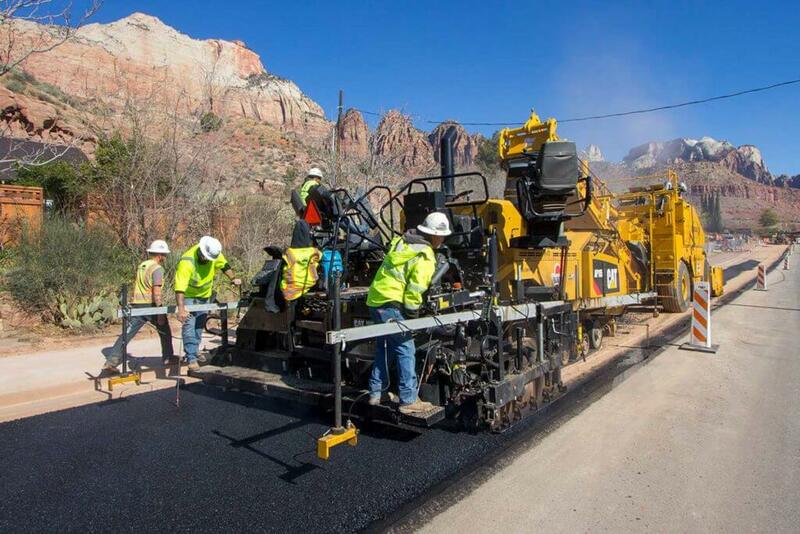 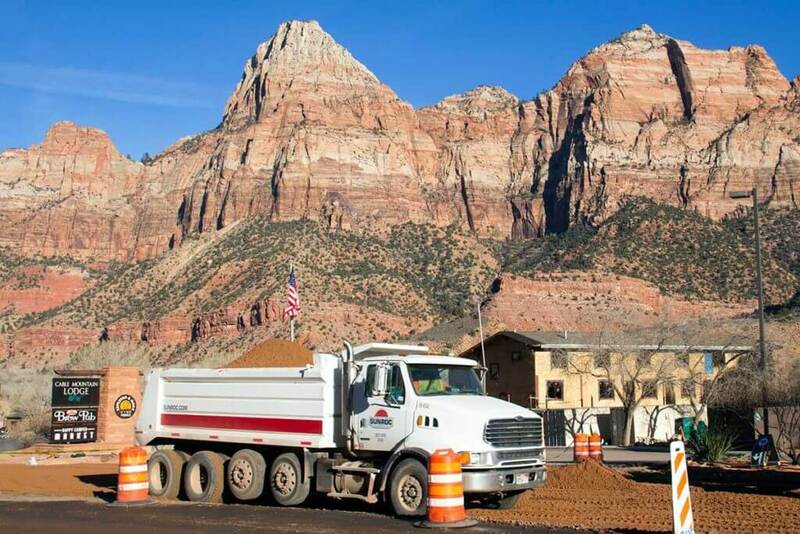 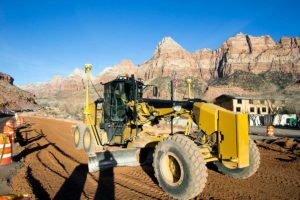 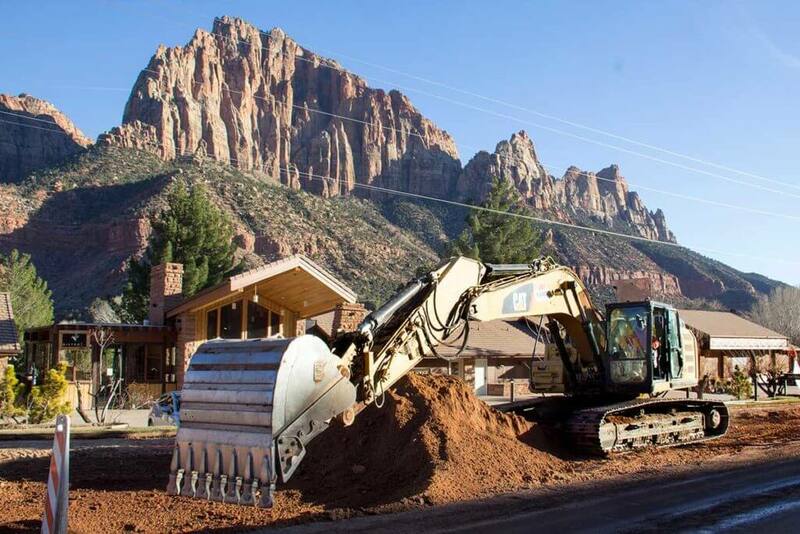 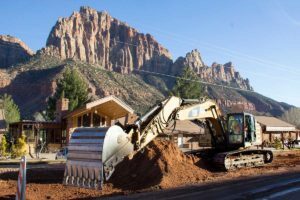 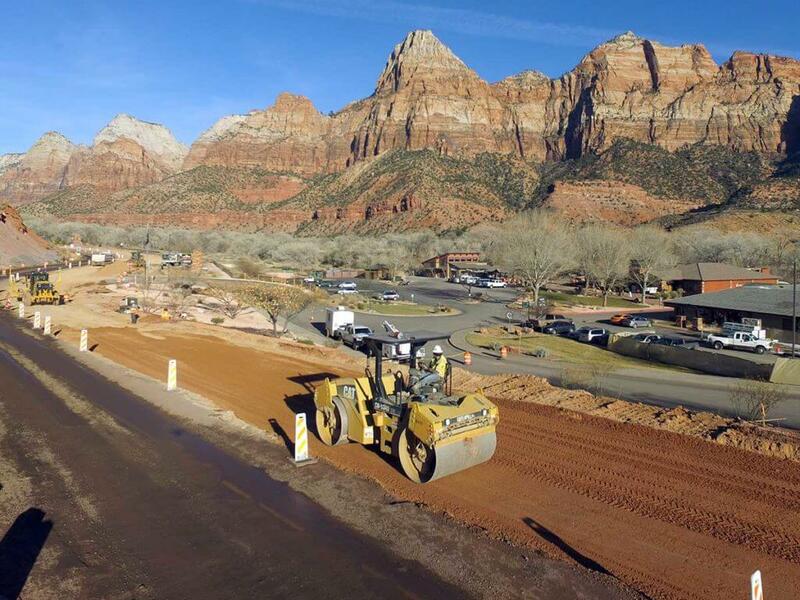 The project consisted of a major repair of widening and revamping SR-9, a heavily travelled road that leads to the entrance of Zion National Park. Sunroc’s team was required to completely remove the existing roadway and sidewalks, install storm drains, waterlines, sewer lines, utilities and install minor bridge deck and box culvert extensions. 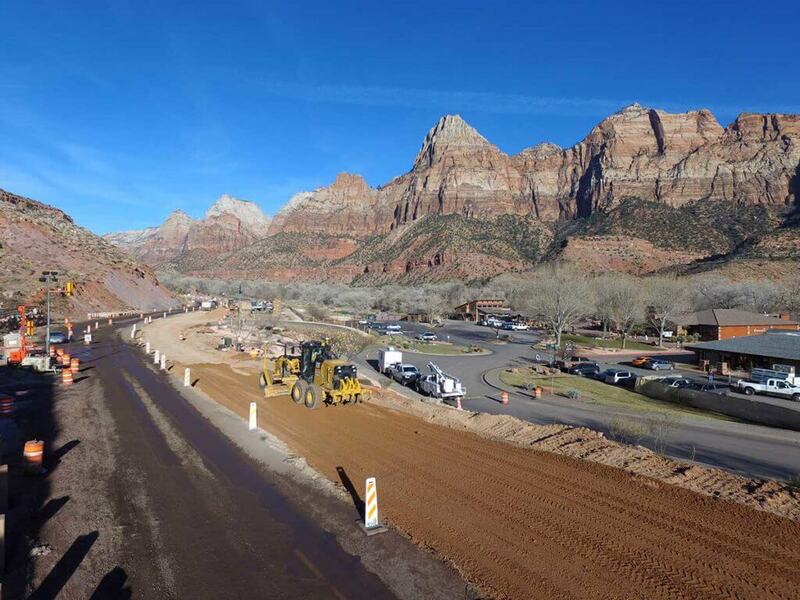 When construction is complete the new road will have upgraded electrical utilities, buried power lines, improved driving lanes, brand new concrete curb, gutter and sidewalks as well as extended shoulders to allow bicycles safer access through Springdale, UT to the entrance of Zion National Park.